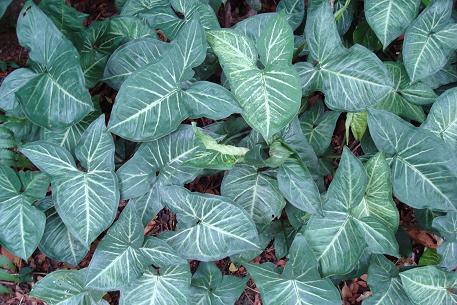 Below is the same plant that is available in nursery but in a very different form --- ground-creeping version with arrowhead shaped leaves. 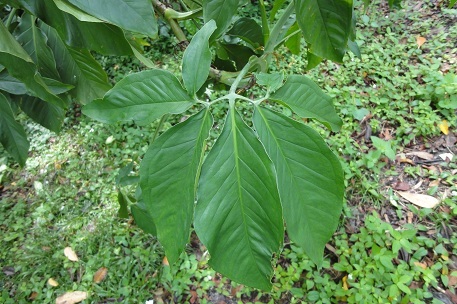 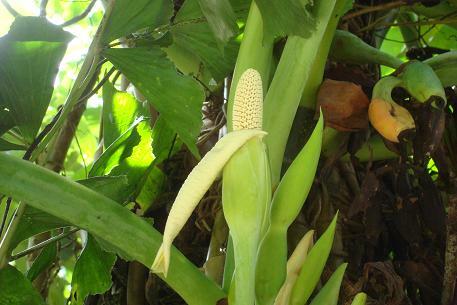 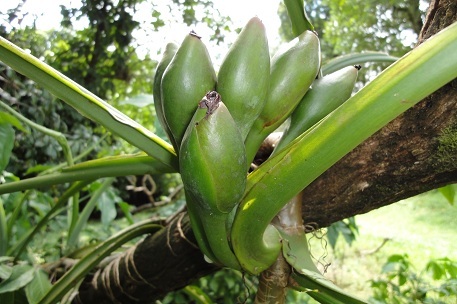 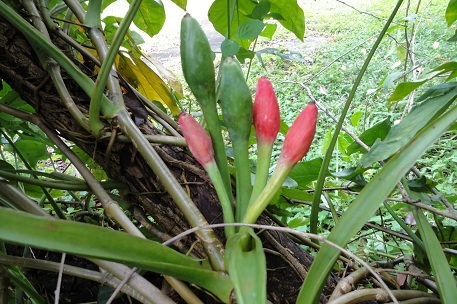 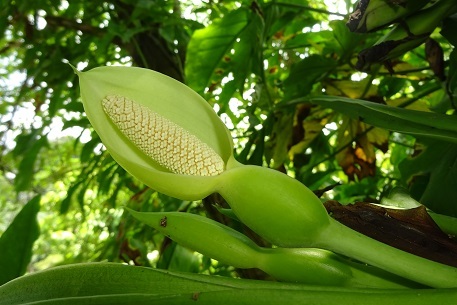 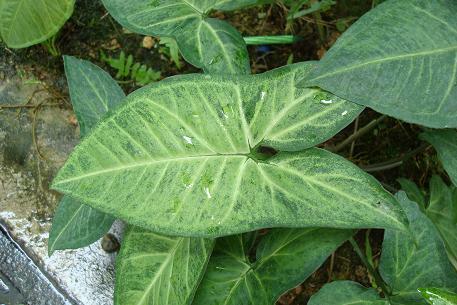 Once it starts climbing up tree trunk, it transforms into a very different form ---- the leaves become larger and split. 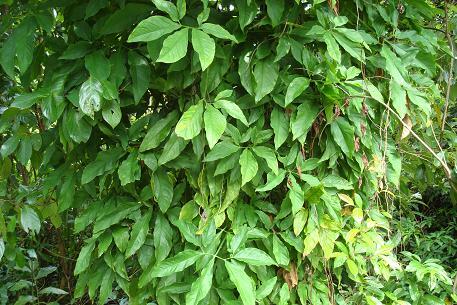 As it adapts very well to the natural environment here, it is now a common climber in the wild. 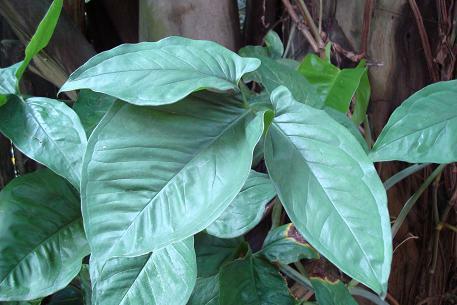 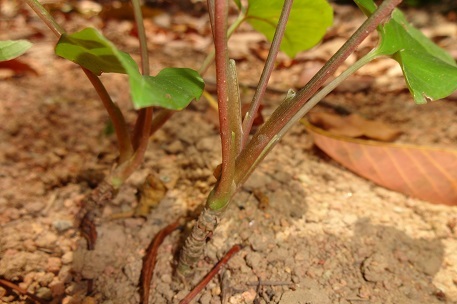 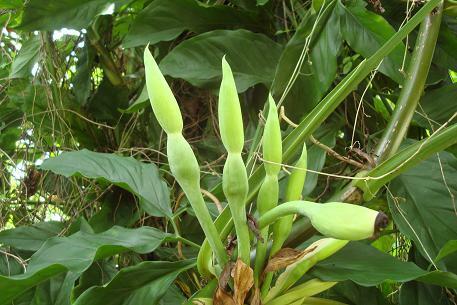 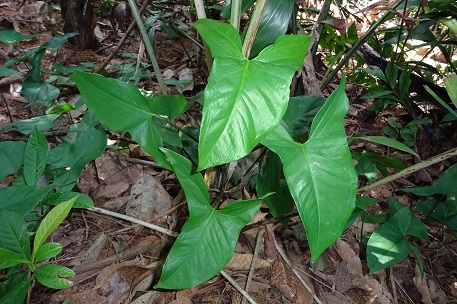 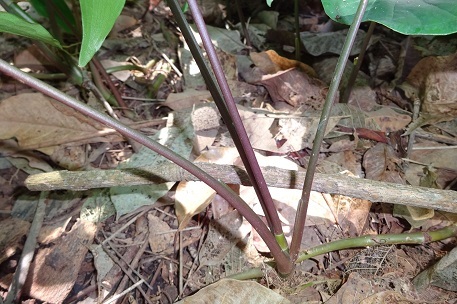 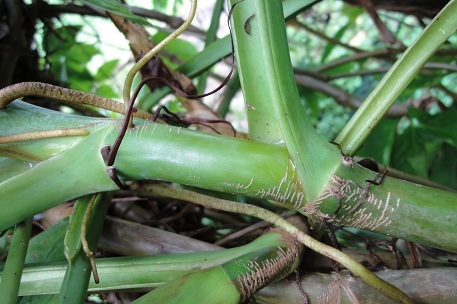 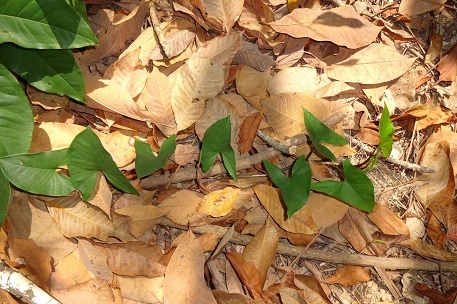 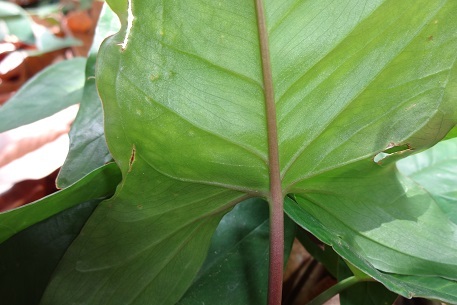 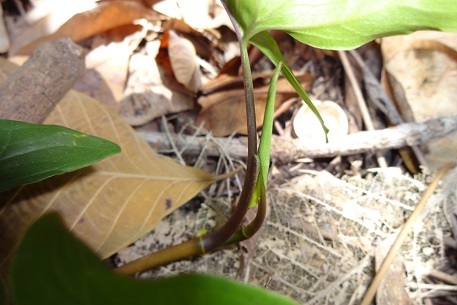 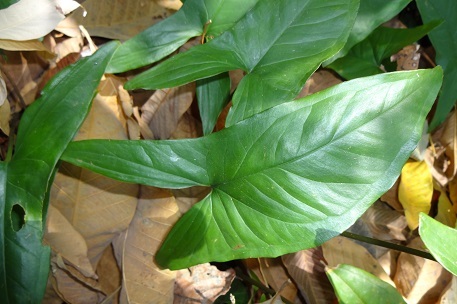 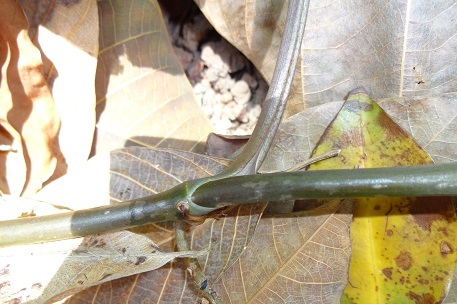 Another two common gigantic climbers here that exhibit such changes in their leaves from juvenile to mature stage are Epipremnum aureum and Epipremnum pinnatum. 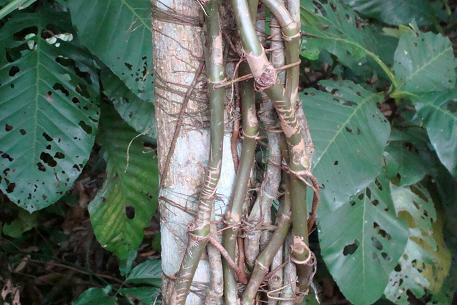 A good review of this transformation can be found in the Exotic Rainforest website.